Do you have skills and willing to teach them globally and earn a full-time income from the comfort of your home? Then this is for you. Through e-selling now you can easily create and sell online courses to anyone who is willing to learn from you. Why choose an online course platform when you have plenty of face-to-face classrooms available in your neighborhood which keep you busy from morning till evening? The difference is between making the two ends meet and making the world your million $ revenue generation platform. It is also the difference between having a low profile life to a luxurious lifestyle of a global entrepreneur. I can show you how to make your presence felt and expand your circle of influence at the local and global online courses markets today. 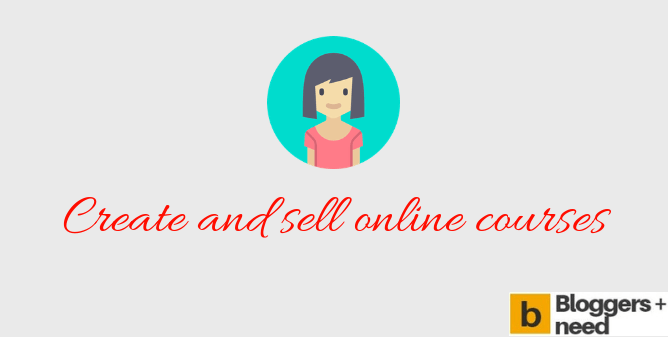 What Is Create And Sell Online Courses Platform Means? Online courses are the web-based versions of distance education. Digital books have replaced traditional books. Virtual classrooms have replaced face-to-face classes. You can communicate with hundreds of learners from across the globe over the internet. Advanced software and applications have made it possible to have virtual sessions live or recorded. There is no limitation on the class timing. 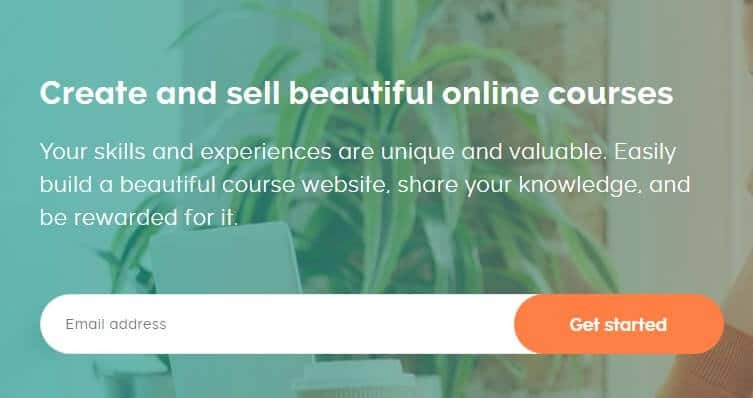 What is the Future Scope of Selling Courses Online? You can earn higher additional revenues within a shorter span of time without having to leave your main profession. Use your free time to formulate your own curriculum, syllabus and class schedules. Get copyright for your course books and sell them online. Design your presentations and make more money. Build your own brand and create a niche in your faculties. These are only a few of the benefits I have listed. Join me to explore the infinite opportunities of online courses platform. I have been a teacher, trainer, author, orator, and a corporate presenter in my professional career. I have lectured in face-to-face (F2F) classrooms and also on the virtual e-platforms. With my vast experience and versatility in handling multiple faculties, I can show you how to become the perfect online teacher. I can show you how to sign up thousands of students for your online courses with minimum effort. I can walk you through the steps to success from creating course curriculum, website, and marketing strategies to establishing your own global brand of online courses. Teachable is one of the most flexible platforms for creating and marketing your courses online. You can create a free account on the website and start creating your courses. You have the option of creating your first course and your website. Teachable gives you a checklist of actions you can perform on the platform once you follow the steps for creating your online school. The first step is to customize the look and feel of your school and its website. You can upload a logo, design the website background, and perform plenty of other preliminary works. Teachable requires you to create a website on its platform. You can have your customized domain name or attach it to Teachable. You have the freedom to design and create the home page and subpages. Customizable options are available at every stage for your content design and development (text, presentations, video, and audio formats). You can add CSS code snippets, use the power editor (for premium accounts), and customize your text, pages, and other options on your website. You can issue course completion certifications to your students through Teachable. The option makes your courses authentic and trustworthy. The possibilities of conversions from leads will multiply with time, resulting in ever-growing revenues. 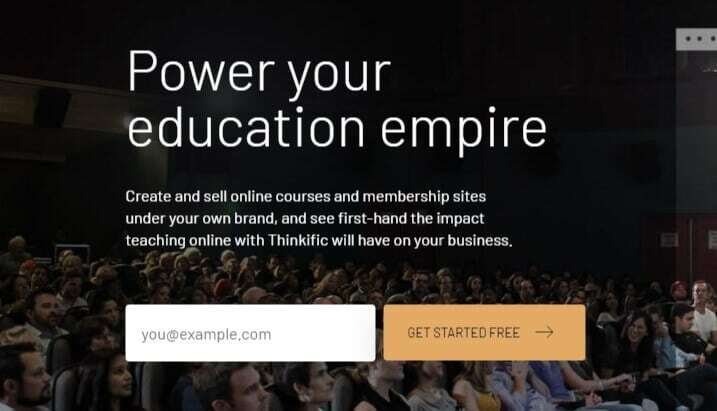 Thinkific has a flexible dashboard which gives you plenty of options from managing your learning content to supporting your students and marketing your courses. You may start by designing your site with the site-builder. 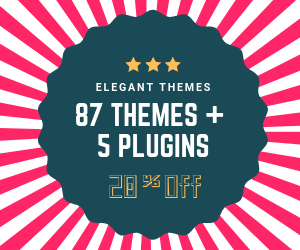 The theme empire on the page has features for course creation, bundles creation, and customization of every page on your website. You can design your website from the banners to navigation, coding, and theme settings. You can connect every individual page to social media networks and customize the marketing options. Web search at every stage of design allows you to import templates from external sources. It is one way of enhancing the aesthetic outlook of your web pages. In marketing, you can create coupons, sales widgets, affiliates, and integrations. I have found the coupons to be the biggest attraction for aspiring students. You can make them available through email marketing, online ads and other communication channels like social media. If you are an absolute novice, Thinkific gives you an online tour of the basics. You can get an overview of the steps and features within the website. I suggest you try Thinkific with its freely available features before taking a final decision of choosing the final online course platform. The process of setting up your initial trial account in Kajabi is free and flexible. There are only two steps for account creation. Once done, you move to the home page. You need to input your credit card number while creating the account. Kajabi gives you a large number of contacts on your first trial. Moreover, you can create products, pipelines, website, webinars, and plenty of pre-designed templates. I have found them to be useful for your website on Kajabi. The best part of Kajabi is to create an affiliate program. You can utilize the Kajabi brand name to sell your courses, e-books, presentations, and other downloads online. 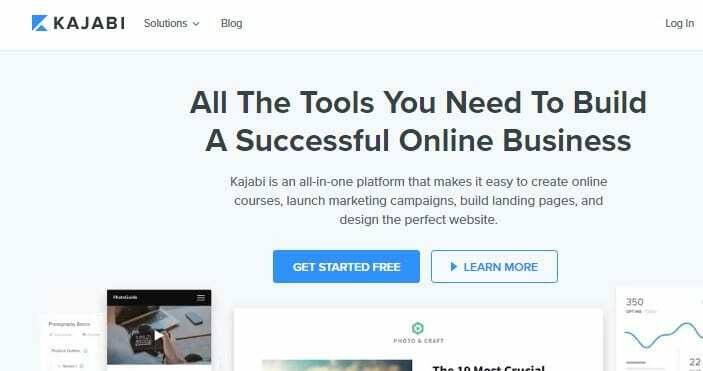 Kajabi is, of course, a well established and known entity as an online course platform. Associating with Kajabi can increase the probability and volume of sales within a specific period. The dashboard on Kajabi is simple to handle with multiple Admin options. You can create anything from simple text content to videos, images and other course content. Online marketing tools help you create call-to-action, countdown-timer, and other attractive features for your target audiences. I suggest Kajabi for its branding options. You can become a business icon within the chosen marketing zone within a short span of time. I suggest Karta because of its strong marketing and course scheduling abilities. Karta uses the latest and evolving technology software and cloud serves to enhance the students’ learning experience. It is one of the key elements which can boost the number of potential leads and conversions into students. The virtual environment in online classrooms, multimedia presentations, podcasts, and videos can create a sensation among the students. 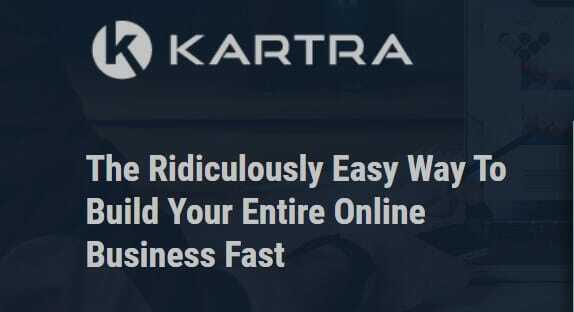 I have found Karta to be highly influential in creating continuous traffic for your website. The marketing tools you find on the dashboard can boost the number of potential leads and conversions into students. You get regular reports about the progress of your campaigns and their results in real time. You can take immediate decisions about changing your strategies and plans for your website and the related features. Karta can create a dedicated group of fans and followers on social media and other popular online courses marketing platforms. With so many followers, you can easily popularize all your courses among every available social network communities. I have personally found the Karta online course platform to be influential among professionals and students. Karta creates a deep sense of connectivity and familiarity among the potential target audiences with your website and courses. It is because of the trust factors of Karta which is expanding among the global internet communities. The key benefit of online course is its relevance to the present job market. People can earn additional revenues by learning how to make beautiful bouquets, tasty recipes, better automobile repairs, marketing ads, and so many other things. You can provide online courses which meet the current needs and demands of the market. You can deliver practical results by training newcomers and transforming them into perfect professionals within a short span of time. It is a great turning point which can create a continuous demand for your courses. Your sales experience vertical growth like never before. You can create the latest and the most advanced version of topics, curriculum, syllabus, presentations, PDF downloads; podcasts, videos and so many other channels of training. I can show you how to stay miles ahead of the competition and consistently increase your revenues. I can share the secrets about hidden risks like market fluctuations, unpredictable target audiences, and other uncertainty factors. I can also show you how you can steer through these risks and stay ahead of competitors. The era of e-selling has created points of comfort for every end-user from buying a simple product to the residential and commercial property online. So, the process of learning a course has also come to the desktop computer and the Smartphone. It is time for you to teleport yourself and your classroom onto these platforms. You have to start where you are. I can show you how to make a simple beginning. List your specializations for online courses. They could be related to housing painting, cooking, modeling, programming, writing, motorcycle repair, and so on. Choose the most trending topic(s) among them. Choose your target audiences. Create a marketing strategy. List the keywords. Prepare marketing and ads content. Integrate the keywords into the content. Build your website and add the content. Optimize your website for the search engine. Generate web traffic. Create leads and follow up. Then convert into sales. Sounds simple, isn’t it? The difficulties start only when you start the implementation. At every stage, you will come up with challenges and unexpected situations. You will need real help in real time. Now, I will show you how you can get it from the online courses selling platforms. You can get help from the stage of topic selection to sales conversions. Your first step to getting the big-time help starts when you register on any of the above online course platforms like Teachable. You can start from the beginning and go all the way to earning big revenues which increase with time. You can earn by selling affiliate courses, concepts, e-Textbooks, DIY books, one-minute solutions, split-second decision making, and so many other topics. You can also create handbooks for programmers, trainers, teachers, students, professionals, and entrepreneurs. Your only real investment will be your potential and talent. Of course, you also need to invest in registration, website, and related facilities from the online course platforms. Onetime investments lead to continuous earnings in the long run. I have been involved in the market study and consumer behavior related to online courses. Your target audiences are from homemakers, students, working professionals, entrepreneurs, retired employees, freelancers, and many others. Every consumer has the potential of opting for one or more courses and course materials. Online consumers tend to share their experience with friends and ear ones. Your course can create value for them on the market so they can earn more revenues than ever before. It is the best and the brightest aspect of your online courses. It enables individuals and communities to learn and earn added revenues. The online course platforms have the highest potential, also because of the short time, minimal fees, and maximize revenues. I have been on the e-platform much before the Y2K made its first online appearance. Then I have seen many bubbles of web-world burst and become history. AS I told you earlier, I have been a teacher, trainer, author, orator, and a corporate presenter in my professional career. I know the online course platform is solid construction and not just a bubble. As a seasoned expert academics, career building, marketing, and content marketing, I have found these top sites to create and sell online courses now. You can create a free account in any or all of the platforms and put them to trial testing. You may have to wait for a certain specific period before getting visible results. You could compare them and take the final decision. You can always contact me for any further queries and answers to your questions about the online course platforms. 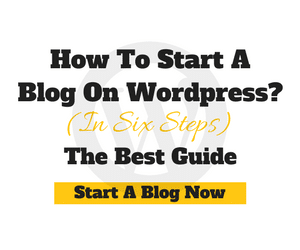 I suggest you take the first steps and get started with your first trial and success now.